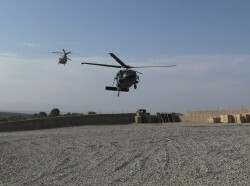 As a large employer in the United States, the Department of Defense faces significant challenges ensuring that all members of the military, as well as their families, receive appropriate health care for everything from general health and well-being to specialized clinical care for deployment related injuries such as amputations, chemically induced illnesses, and post-traumatic stress disorder. Combining its expertise in health and defense policy, RAND examines policy issues surrounding military medical care needs and the systems intended to meet them. The DoD's Health Related Behaviors Survey asks questions about health-related issues that can affect force readiness or the ability to meet the demands of military life. It's been fielded for more than 30 years. 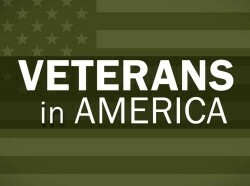 About 17,000 service members participated in the latest survey. What Is the Quality of Mental Health Care in the Military? 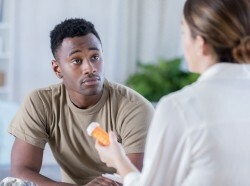 The care provided by the Military Health System (MHS) is critical to maintaining a physically and psychologically healthy, mission-ready force. 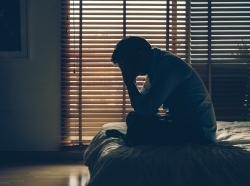 When it comes to PTSD and depression, the MHS demonstrates excellent care in some areas but could improve in others. All Authors All Authors Acosta, Joie D. Adamson, David M. Anthony, C. Ross Ayer, Lynsay Barnes-Proby, Dionne Batka, Caroline Batorsky, Benjamin Saul Belsher, Bradley E. Brauner, Marygail K. Bray, Robert M. Breslau, Joshua Brown, Ryan Andrew Burgette, Lane F. Burks, James J. Burns, Rachel M. Caldarone, Leah B. Carson, Brad R. Cecchine, Gary Cerully, Jennifer L. Chan, Ed Chandra, Anita Chaney, Edmund Coulter, Ian D. Davis, Lois M. Duffy, Erin L. Eibner, Christine Eiseman, Elizabeth Engel, Charles C. Evatt, Daniel P. Farmer, Carrie M. Farris, Coreen Fisher, Gail Fisher, Michael P. Freed, Michael C. Geyer, Lily Golomb, Beatrice A. Gonzalez Morganti, Kristy Gore, Kristie Greenberg, Michael D. Griffin, Beth Ann Haas, Ann C. Han, Bing Harris, Katherine M. Hastings, Jaime L. Hepner, Kimberly A. Herman, Patricia M. Hilton, Lara Hosek, James Hosek, Susan D. Iyengar Plumb, Radha Iyiewuare, Praise O. Jaycox, Lisa H. Kadiyala, Srikanth Karney, Benjamin Kepe, Marta Kirby, Sheila Nataraj Kraus, Lisa Kress, Amii M. Krull, Heather Kurz, Jeremy Lachman, Beth E. Lane, Marian E. Lara-Cinisomo, Sandraluz Lutovsky, Nathaniel Mahmud, Ammarah Marsh, Julie A. Marshall, Grant N. Martin, Laurie T. May, Linnea Warren Meadows, Sarah O. Meredith, Lisa S. Miller, Laura L. Moore, Melinda Nanda, Nupur Newberry, Sydne Osilla, Karen Chan Paddock, Susan M. Parker, Andrew M. Pedersen, Eric R. Pincus, Harold Alan Ramchand, Rajeev Resnick, Adam C. Ringel, Jeanne S. Robinson, Linda Rostker, Bernard Roth, Carol P. Rubenstein, Lisa V. Ruder, Teague Schaefer, Agnes Gereben Schafer, Amy Schell, Terry L. Schoenbaum, Michael Setodji, Claude Messan Sherbourne, Cathy D. Shih, Regina A. Sims, Carra S. Sloss, Elizabeth M. Smith, M. M. Sondergaard, Susanne Sorbero, Melony E. Steinberg, Paul S. Suarez, Ana Tanielian, Terri Thie, Harry J. Timmer, Martha J. 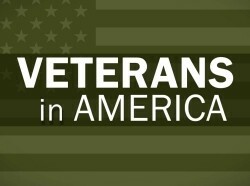 Trail, Thomas E. Troxel, Wendy M. Vaughan, Christine Anne Watkins, Katherine E. Williams, Kayla M. Winkler, John D.
In this episode of Veterans in America, we talk about the military caregivers that inspired RAND's landmark study of America's "hidden heroes." 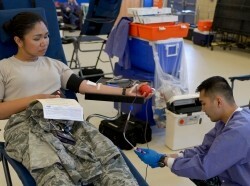 Ensuring that blood remains available and safe for the Joint military community requires sophisticated logistical support and a dependable supply chain. Some future operating environments could present challenges to the blood supply chain. What can be done to make it more resilient? 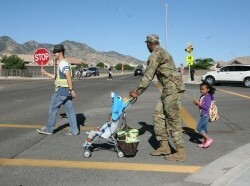 The Army has many programs to help soldiers and their families cope with military life. But do these programs address their most pressing needs? An analysis of survey data, interviews, and focus groups from 13 garrisons provides local-level insight into soldier and family issues and needs, as well as the resources they use. This report reviews research on sexual assault against men and describes interviews with military service providers and civilian experts. It concludes with recommendations for improving support to male sexual assault victims in the U.S. military. This chartbook summarizes findings from an evaluation of two programs offered by the DoD that provide solution-focused counseling for common personal and family issues to members of the active and reserve components of the U.S. military and their families. Research suggests ways to improve federal programs that support military and veteran caregivers. 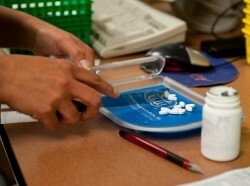 Notably, programs should be tailored to the needs of different populations, such as pre-9/11 and post-9/11 caregivers. An intervention to improve mental health and communication among military spouses worried about their partners' drinking reduced depression more effectively for spouses who also drank heavily. 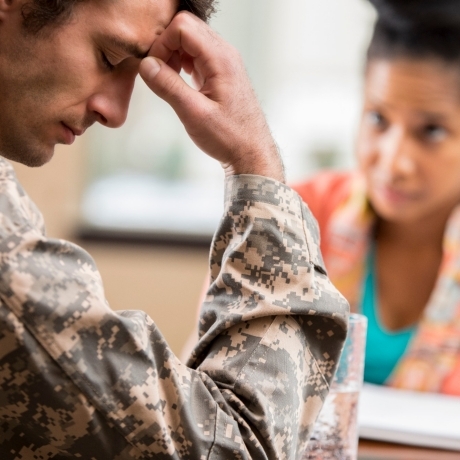 A recent evaluation of the military's non-medical counseling programs suggests that they help military personnel and their families. Participants gave the programs favorable ratings, and most reported improvement over a three-month period.